This year’s holiday must have. 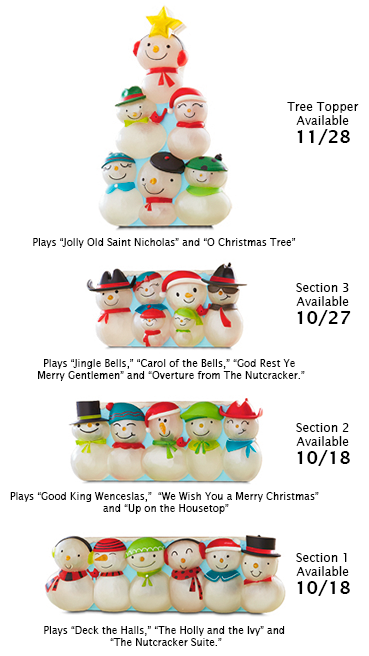 Each of the four sections of stacked snowmen plays two to four holiday songs. Collect all four sections and stack them as shown, then add the conductor to lead the performance. You and your family will be delighted by a unique 10 minute music and light show. 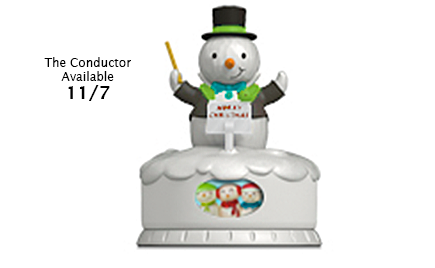 *Available at participating Hallmark Gold Crown stores in Canada, excluding Quebec. 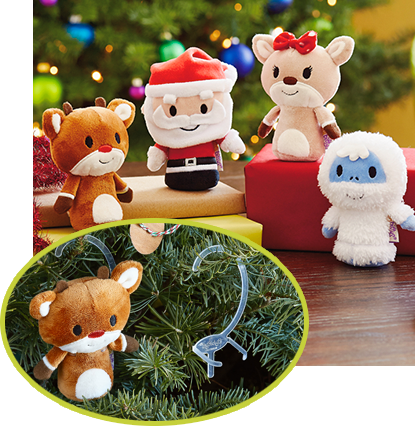 Purchase any 4 itty bittys(r) plush priced at $6.95 each and receive a free pack of itty bittys(r) hooks. Offer valid October 4-26, 2014 while supplies last. Selection may vary. Not valid on past purchases. Retailer has the right to limit quantities. No cash value.